Priot to continuing our visit to the beauties of the Nevropolis plateau and Plastiras Lake, we will make a short reference to the villages of the municipalities located in the Agrafa feet by the lake. The semi-mountainousvillages of these municipalities constitute an extremely beautiful "balcony" with a view over the vast Thessaly plain. They are near the town of Karditsa and on the wayto Plastiras Lake. Most of them have a tourist infrastructure, an extraordinary view, rich gastronomic tradition, tasty local wines, tsipouro andsignificant historical and cultural monuments. On the other hand, the lowland villages of the municipalities near Plastiras Lake are proud of their rich history and cultural tradition. Their geographical position contributed to their being inhabited many centuries age, a fact documented by the plethora of important archaeological findings. Leaving the town of Karditsa, heading for Plastiras Lake, in a very short distance from the Paparantza Park with the age-long tree, one comes across the municipality of Mitropolis. The total population of the municipality, according to 2001 census, comes up to 4.759 people. The lowland municipal boroughs of Kria Vrisi, Ksinoneri, Georgiko and Frago, as well as the the semi-mountainous ones of Portitsa and Agios Georgios, belong to the same municipality. A big Percentage of the people of the lowland villages of the municipality originate from Karagounides indigenous people of the Thessaly plain who constitute the prevaling population element in the lowland part of the prefecture of Karditsa. They have lived in this area of the prefecture for many centuries, mainly working the land. The Karagouna costume is richlydecorated and is a real masterpiece. The jewellery and the famous silver that used to adorn the Karagounes are found today in many displaycases of folklore museums. The culture, folk traditions and customs of the Karagounides are many and ver significant. Wedding is a very important celebration for the Karagounides and ebration Karagounides and this is why, many songs and customs refer to its social dimension. The idiom of the Karagounides is also quite characteristic. 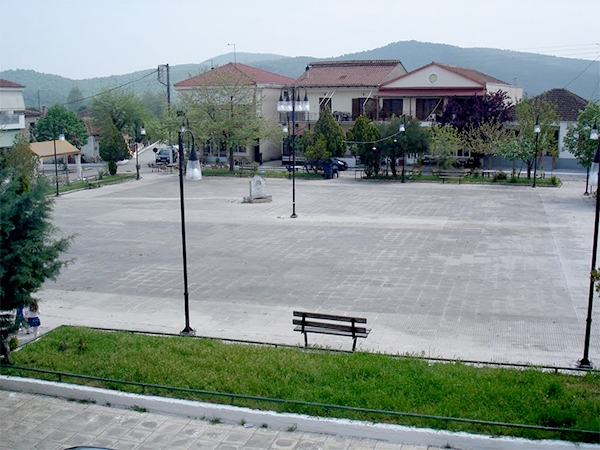 Mitropolis was the seat of the municipality (according to the Kallikrates plan 2011, belongs to Karditsa municipality) is 9 km from the town of Karditsa and is buil at the entrance of the pass leading to lake Plastiras and deep in the Agrafa regio. Mitropolis is at a very central position and shows a significant development. More than 50 enterprises of various kinds operate within the village. At the central road that goes past the church and the Town Hall, as well as around the square, visitors will find chop-houses, taverns and butchers' shop with fresh meat and spicy sausages, traditional cafes and super markets, the Citizen Service Center of the municipality etc. The temple screen of the church of Saint george, a listed building, next to the new church with the same name at the center of Mitropolis is a masterpiece. At the edge of the village, on the top of the hill, there is a guest house, an outdoor theater and a motocross track. 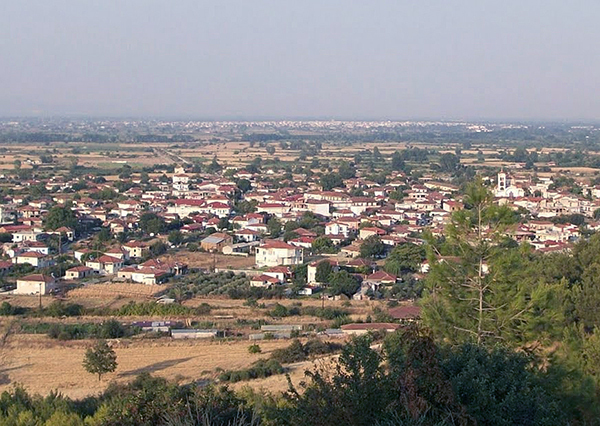 There are numerous testimonies that ancient Mitropolis stood where the modern town is. According to them, the town was founded in the 4th century BC from the union of other small towns and mainly developed during the Helenistic and Romans eras. The town acquired great strength at the end of the 3d and the beginning of the 2nd BC and developed many activities in numerous fields, creating thus, a remarkable culture. One of the most important archaeological findings belonging to ancient Mitropolis is the Temple of Apollo which was discovered 2 km from today's village, at "lianokokkala". 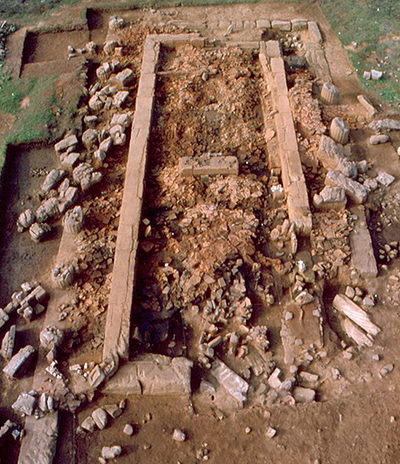 Furthermore, there are two more remarkable findings: two Roman baths. One of the mosaics found in one of the baths depicts the abduction of Europe by Zeus. A little way from Mitropoli, near the central road axis, one comes across Georgiko, whosehistory is connected with the history of ancient Mitropolis. 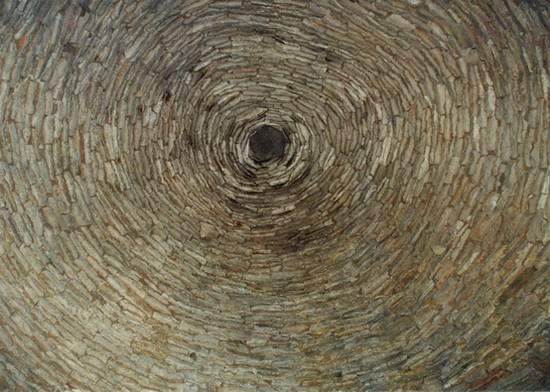 The most important and representative example of the culture developed in this area thoughout the centuries in the Mycenaean tholos tomb at the borderes of the village with the community of Ksinoneri. The tomb was discovered and explored in 1917 by the archaeologist Kostas Arvanitopoulos. According to the 13th Ephorate of Prehistoric and Classical Antiquities, the tholos tomb dates bank to the 13th - 12th centuries BC. It is one of the best preserved tombs all over Thessaly but is not open to visitors yet. Seven km from Karditsa, one comes across Kria Vrisi and a bit afterwards there is Ksinoneri with the traditional adore and stone two-storied houses. The initiative of the cultural societyled to the creation of a Folklore Museum with many exhibits from the occupations and the households of the people of the area. Near Ksinoneri, there is the semi-mountainous settlement of Agios Georgios (Saint George) The Village is famous for the big two-day festival held on the 15th of August in the old settlement, outside the village. Next to Agios georgios, there is Portitsa, a small village 12 km from Karditsa and 4 km from Mitropoli. The landscape where the village is built is idyllic and the environment quiet and enchanting. Of interest for the visitor is the Folk Museum of Portitsa Society "To Pnevma" (The Spirit) which has been operating at the old village school since 1998. The museum offers rich folklore material and is open to visitors. On the second day of Christmas the village society organises the "gournohara" (the traditional winter preparation of pork), followed afterwards by a feat.